Ah, your beautiful home. On a good day, all is well on the homefront, and your home is a place of peace and comfort. But when plumbing issues strike, most homeowners cringe and try to come up with a temporary fix to avoid making the necessary call to a local Denver/Westminster plumber. However, when you’re facing a leak underneath your foundation slab, there is no better phone call to make. Because of their underground location, slab leaks can often go unnoticed for some time, causing slow but steady damage to the foundation and surrounding structures. If you notice soft or wet spots on the floor, hear running water when everything is turned off, or notice a spike in your water bill, a sneaky slab leak could be to blame. Acting quickly can save you more damage and cost in the long-run, so don’t put off calling our team of professionals at (720) 363-2907. We are just a phone call away for assessment and repair of slab and underground leaks for our Denver, CO and Westminster, CO neighbors! How Can I Spot a Slab Leak? Underground leaks can be inherently difficult to identify because they’re not something that you can inspect as you would other plumbing components.There are many lines and levels of plumbing that run underneath your house, and when damage, corrosion, or improper installation cause leaks or bursts, you want to know about it as soon as possible to mitigate issues (especially to your foundation). Here are a few tips to help you identify an underground slab leak, but when in doubt, don’t hesitate to call Best Plumbing of Denver at (720) 363-2907. We’ll be happy to take a look for you! Do these sound familiar? If so, don’t delay in calling us out to take a look at your plumbing and perform a thorough evaluation. If there are slab and underground leaks, the most important thing is to quickly locate the source of the leak so that we can determine how to best fix it once and for all. 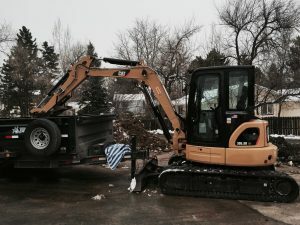 Call (720) 363-2907 for prompt, professional evaluation and repair of slab and underground leaks impacting your Denver, CO or Westminster, CO home! Updated on October 27, 2016 at 7:00 pm by Best Plumbing of Denver.